Our tours are specifically created for those that want to immerse themselves In the French culture. Tour days are filled with cooking classes, markets trips, and exploring the beautiful sites of Provence. 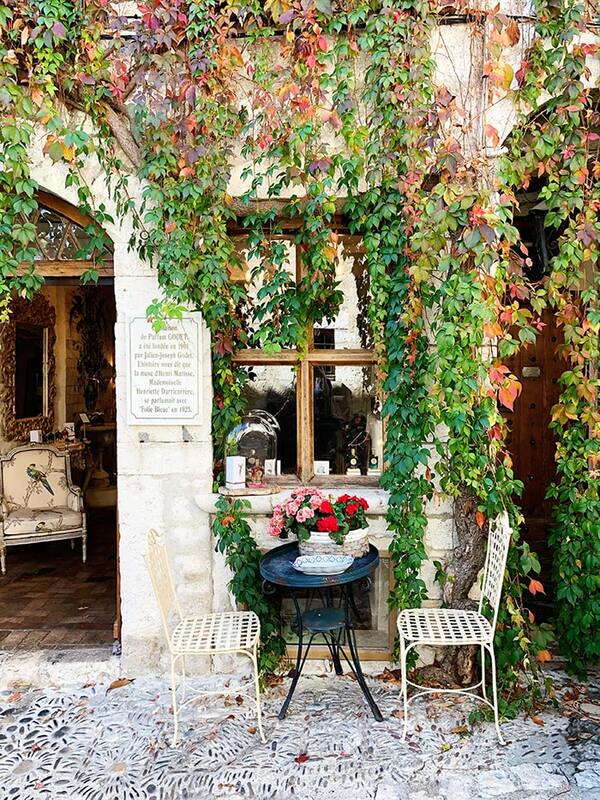 CHECK PROVENCE OFF YOUR BUCKET LIST! Jackdaw Journeys knows that life is complicated and we are all guilty of pushing our travel dreams aside. Do you find yourself saying year after year “one day I will book that trip”? Well, with Jackdaw Journeys we make that “one day” a reality with a once in a lifetime trip to Provence. Our intimate tours, created for groups up to 10, aren’t just about seeing a new region, or experiencing the culture firsthand, it’s about taking a break from your day-to-day life to unwind and nurture your soul. Cookery classes with a Michelin star-rated chef in his magnificent kitchen garden. Open-air market shopping excursions in port cities and inland towns where you can find everything from treasured antiques to regional delicacies. Boat rides along the French Riviera. Wine tasting, spa treatments, and backroad exploring. 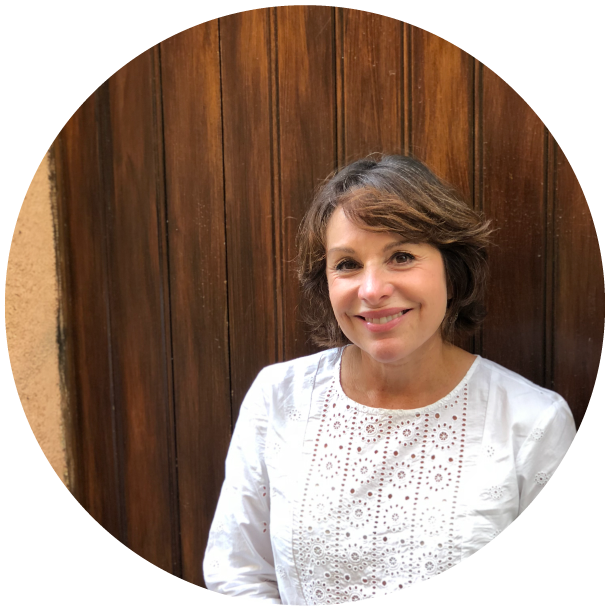 My love affair with Provence began 12 years ago when I attended my first cooking school at Julia Child’s home in Plascassier. Ever since then, I have made it a point to return to Southern France twice yearly to visit what has become my home away from home. “This was more than just a tour, it was a life changing experience that is hard to put into words. I have traveled through many parts of the world, usually on an agenda we plan ourselves, but what separated Jackdaw Journeys from the trips we’ve planned was the amount of regions we were able to visit in 8 days without feeling like we were being rushed around from place to place. Dee has clearly done her research and knows the area left and right – we didn’t feel like tourists on this trip, we felt like we were visiting our home away from home. 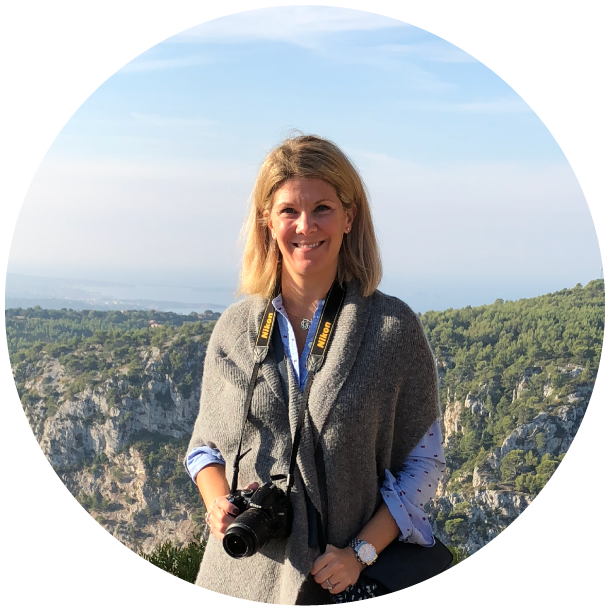 I would highly recommend this tour to anyone looking for an immersive experience in one of the most beautiful regions in the world.” – Jacin F.
“I’ve taken two amazing Jackdaw Journeys trips to Provence, France. I prefer small group tours so this was perfect for me. We visited many local markets and the most beautiful, quaint villages. The boat ride along the French Riviera was a highlight. Needless to say, the food is amazing! Dee Poquette was the perfect host; highly organized, accommodating, and lots of fun! I’m sure I will be going again in the not too distant future.” Lisa B. 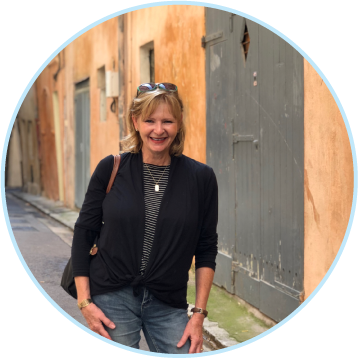 “Dee’s tours focus on cuisine, sights of interest in Provence, and market shopping, both antique and new. 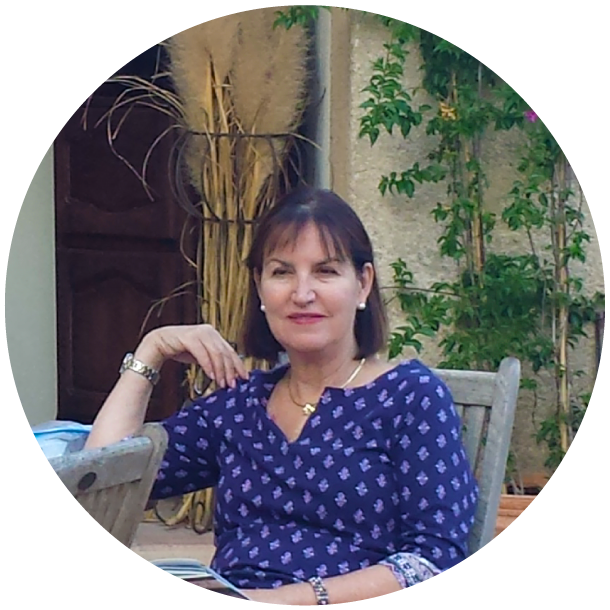 She is familiar with many markets– Aix en Provence, L’Isle-sur-la- Sorgue, Nice, Evenos and the seaside market of Sanary-sur– Mer. 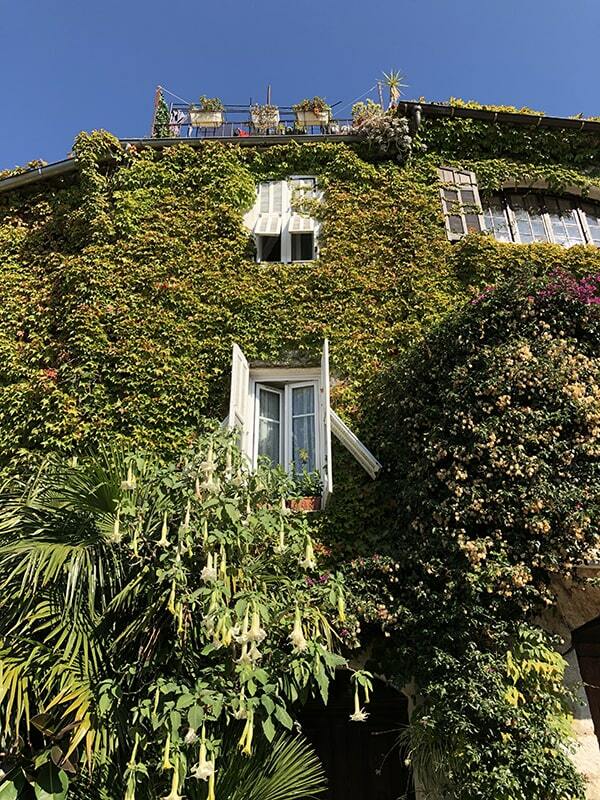 If you want to spend 8 days in Provence and on the French Riviera, have company and a fine safe driver and have an itinerary already planed out for you, this kind of experience would be suitable for you. We saw a lot, did a lot, ate a lot, had a lot of fun, and made some fine memories and of course brought a lot of souvenirs. Bon Voyage!” – Diane A. READY TO BOOK YOUR TRIP? CONTACT US! Keep up with the latest news from Jackdaw Journeys. Promotions, tour dates, blog posts, and so much more! LEARN TO COOK IN PROVENCE! As part of our tour, we offer two days of cooking classes with a Michelin-rated chef. Find out more by viewing our itinerary. CAN’T MAKE IT ON THE TOUR THIS YEAR FOR OUR COOKING CLASSES? We’ve got you covered! Every month we share a new French recipe with you. Our intimate tours to Provence, created for groups up to 10, aren’t just about seeing a new region or experiencing the culture firsthand, it’s about taking a break from your day-to-day life to unwind and nurture your soul. STAY UP TO DATE WITH JACKDAW JOURNEYS! FIND OUT ABOUT OUR UPCOMING TRIPS, TAKE A LOOK INTO OUR TOURS, AND MUCH MORE!